Suits should be worn. Business attire is relatively formal, and although more casual wear is acceptable in summer, Montenegrin businesspeople tend to dress smartly. It is usual to shake hands to greet a business contact. Communication is not a major problem, as English is popular as a second language. Montenegrins are proud of their country and their hospitality, and visiting businesspeople are normally taken to lunch. Montenegrins will appreciate it if foreigners show enthusiasm for local wines and spirits. Almost everyone smokes. Drinking coffee is also something of a social ritual. Montenegro was the smallest of the six constituent republics of the former Yugoslavia. Civil war and economic sanctions in the 1990s halved its economic output, and destroyed much of its infrastructure and industrial capacity. However, since 2000 the economic outlook has brightened. In 2005, economic growth was 4.1%, inflation 1.8% and unemployment 18.4%. In 2006 Montenegro gained independence, splitting from Serbia, so statistics are hard to compare, but by 2012 economic growth had slipped to 0%, inflation was 4% and unemployment 19.1%. However, these figures also reflect the general global economic downturn. Agriculture is now mainly geared to domestic consumption. The country has a resilient mining industry that produces coal, copper ores, bauxite and more. The country has been under pressure to privatise state-owned industries, but many of these schemes, such as the privatisation of the Podgorica Aluminium Plant (in 2005), have ended in law suits, lay offs, and bankruptcy, due mainly to corruption and mismanagement. However, service industries, which accounted for 87.9% of GDP in 2011, are the mainstay of Montenegro's economy. 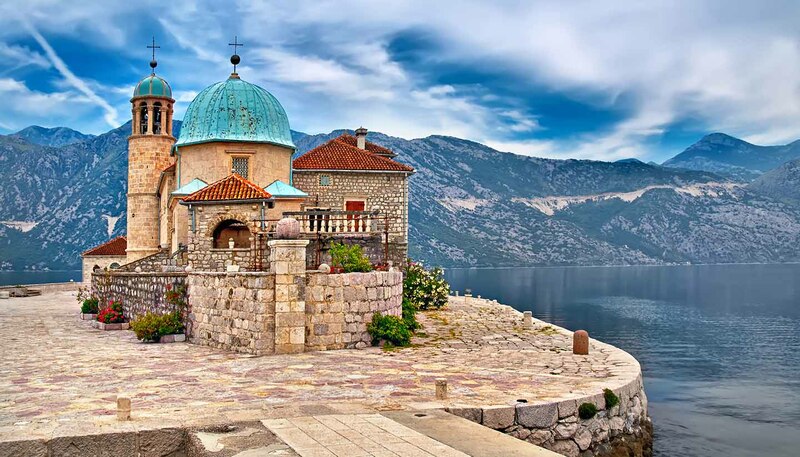 Tourism in particular is expected to grow and in 2013 Montenegro was forecast to have the fastest growing tourism industry in the world. Non-ferrous metals, iron and steel, beverages, cork and wood. Energy and petroleum products, electricity, transport equipment, pharmaceuticals. Serbia, Croatia, Greece, Slovenia and China. The cheapest way to call home is from a call centre or internet café. Card-operated public telephones are becoming increasingly scarce. Roaming agreements exist with most international mobile phone companies. Coverage is mostly good. Internet cafes can be found in the main towns and cities. Internet is fast and efficient. Many hotels and even some private accommodation offer free Wi-Fi to guests. The media in Montenegro is recognised as “partly free”. The main problems are editorial bias (manipulated by business leaders and the government) and the physical intimidation of journalists (there are several cases of journalists being attacked, especially when investigating organised crime). English-language newspapers are available in all the main holiday resorts during the summer. There are three Montenegrin daily newspapers: Dan, Vijesti and Pobjeda. The state-run Radio Television of Montenegro (RTCG) operates three TV channels (2 terrestrial, 1 international via satellite) plus one radio station. There are also several private channels, including NTV Montena, RTV Atlas and TV Vijesti. Foreign channels, such as CNN, are available via satellite in most hotels. Regarding radio, Radio Crne Gore is state-run, and Atlas Radio, Montena Radio and Radio Antena Mare privately operated. Postal services, run by the state company, Pošta Crna Gora (www.postacg.me), are reasonably good. It takes approximately seven days for a letter to arrive in the UK and 10 days to the US. However, parcels occasionally go astray, so if sending valuable items, a courier is recommended. Mon-Sat 0800-2000 (note that some post offices in small resorts only work during the summer season).